I’ve been a tardy blogger recently as my time has been taken up with attempting to decipher the mysteries of internet marketing, work, a vacation (yay!) and tending to my garden. 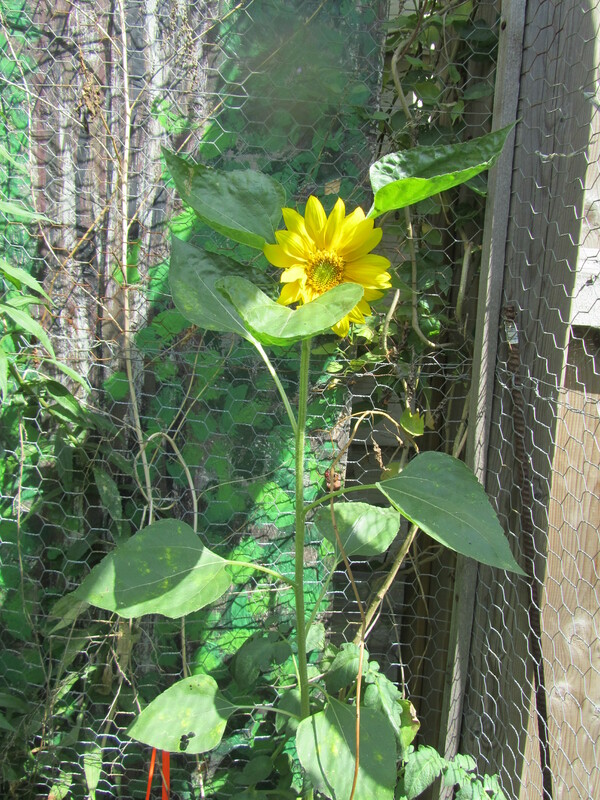 I’m going to stray from my usual topic of late, self-publishing, to focus on something that just plain makes me happy: my garden. For years, in our small, city garden, we had serious issues with racoons having a pool party in the pond, taking a bite out of each tomato and generally trashing the place. Enough was enough, so my man built an enclosure for the vegetable patch. 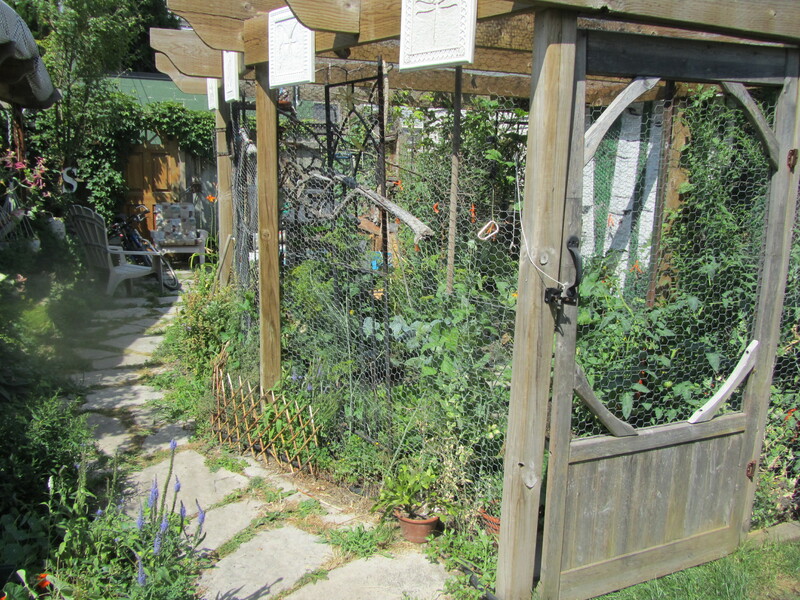 It’s basically a pergola covered in chicken wire and it works like a charm! It’s also a handy place to keep our parrot safe and secure when the whole family is outside. 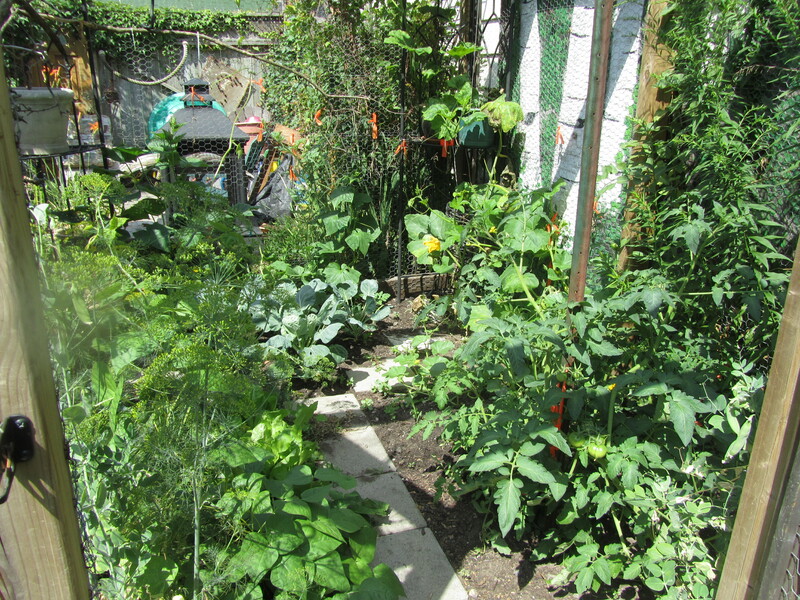 The plot is only about 7′ x 9′, but thanks to square-foot gardening, I can pack it all in and keep the critters out. 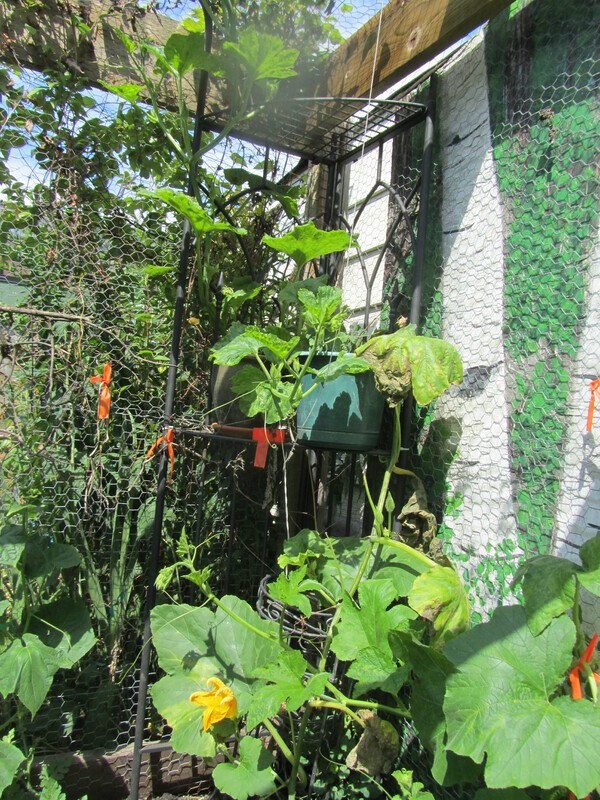 Part of the reason we can fit so much into such a small space is that the vines like the pumpkin, cucumbers, cantaloup and watermelons can climb on the chicken wire. 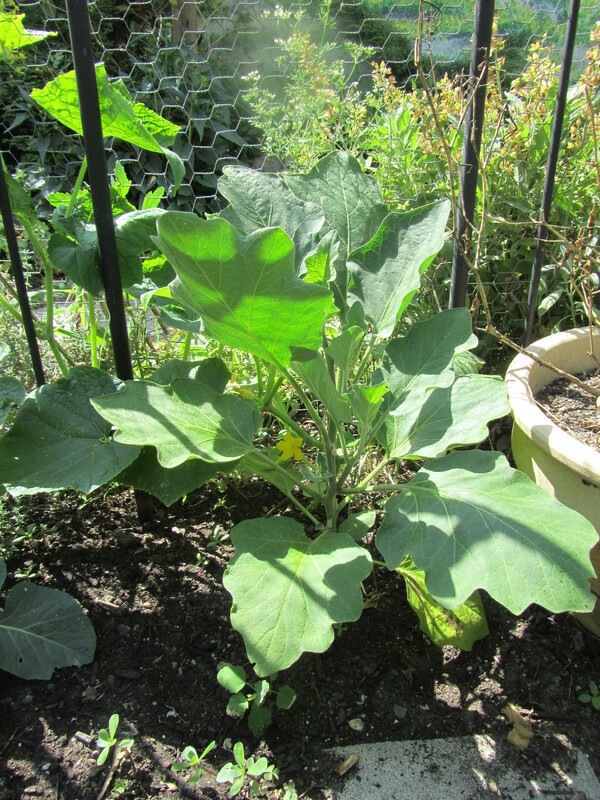 Mind you, it’s my first time growing pumpkins, so we’ll see what happens!